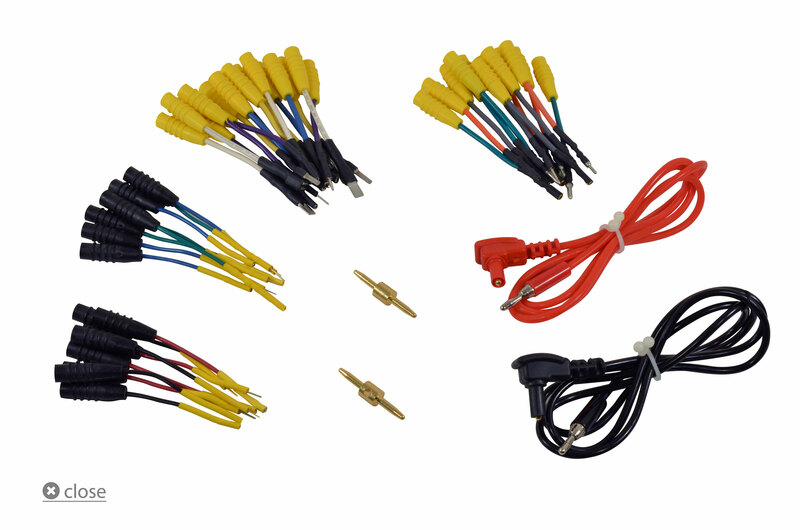 A large assortment of matching male and female spade, round and micro terminal flexible probes. 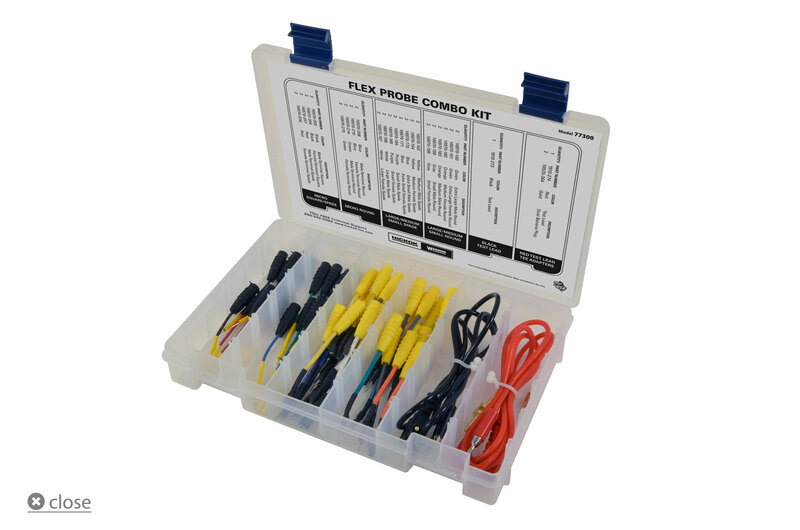 The kit includes universal multi-meter test leads with male banana plug ends for hands free solid connection and testing. 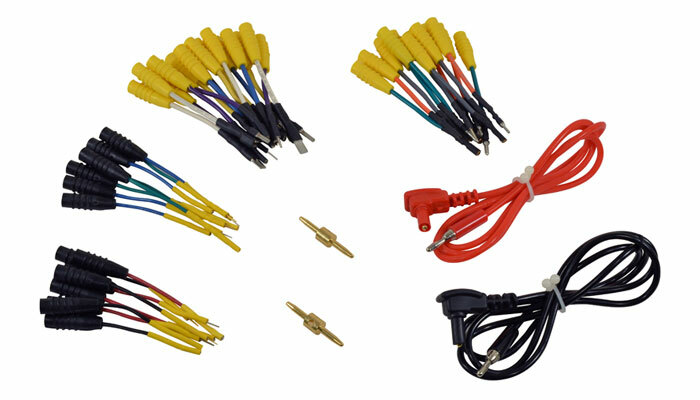 The flexible probes are a perfect fit for most transportation industry connector pins providing safe diagnostic testing for today's complex computer and electrical systems without piercing wires. 2 Male/Female .02" x .09"
Use Auto Wave to quickly and easily verify that signals and voltages are present in waveform forma. The quickest, most comprehensive Wheel Speed Sensor diagnostic tester available. Measures, displays and saves each coil-on-plug’s secondary ignition data in real-time for detailed ignition analysis.